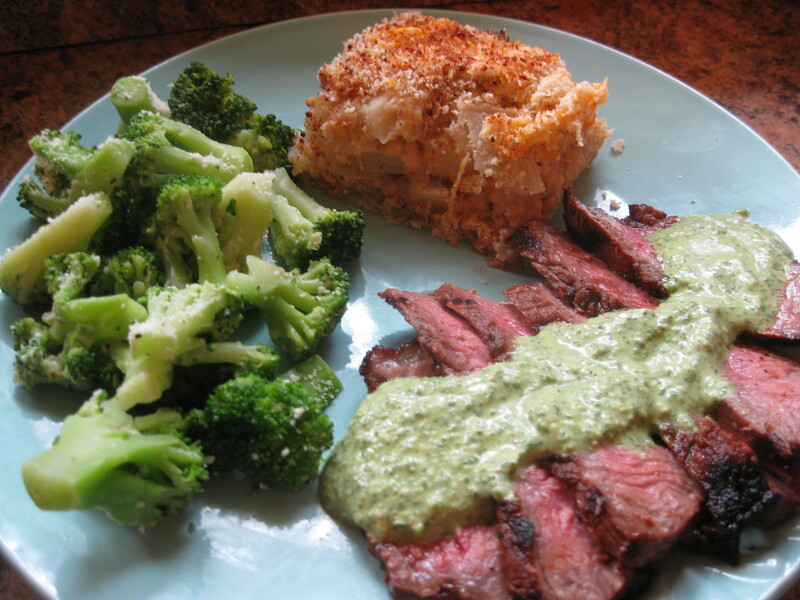 Chimichurri steak with a lighter version of cheesy potatoes and broccoli. It was great except I over did it on the chimichurri sauce. A little goes a long way. 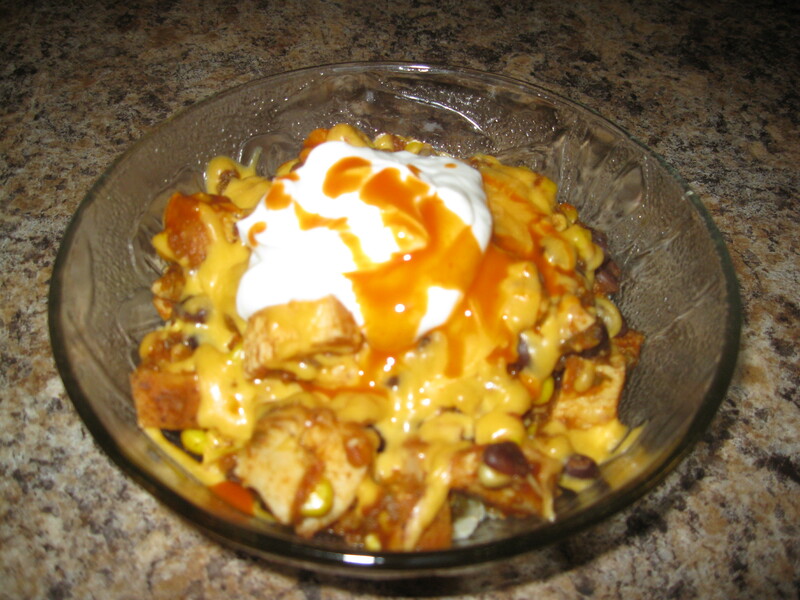 I lightened up the potatoes by using reduced fat cheese and milk. 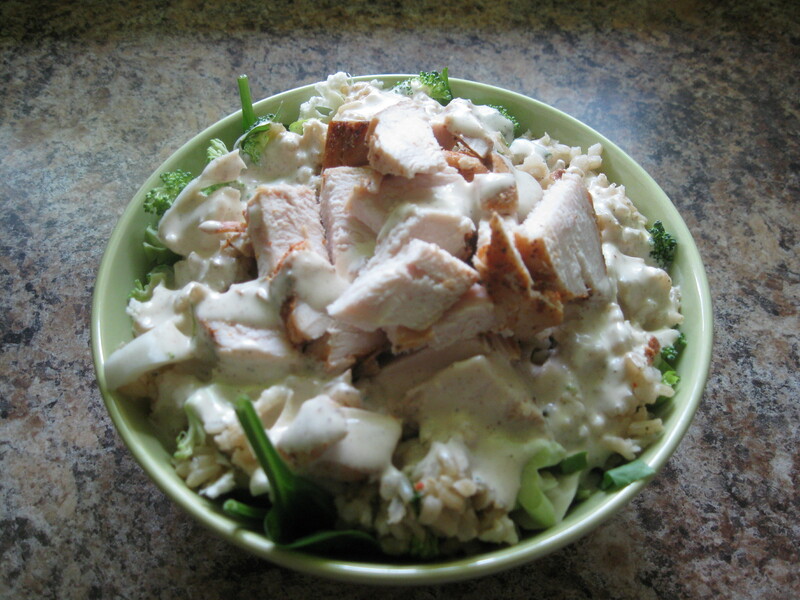 Whirl it all up in a food processor. 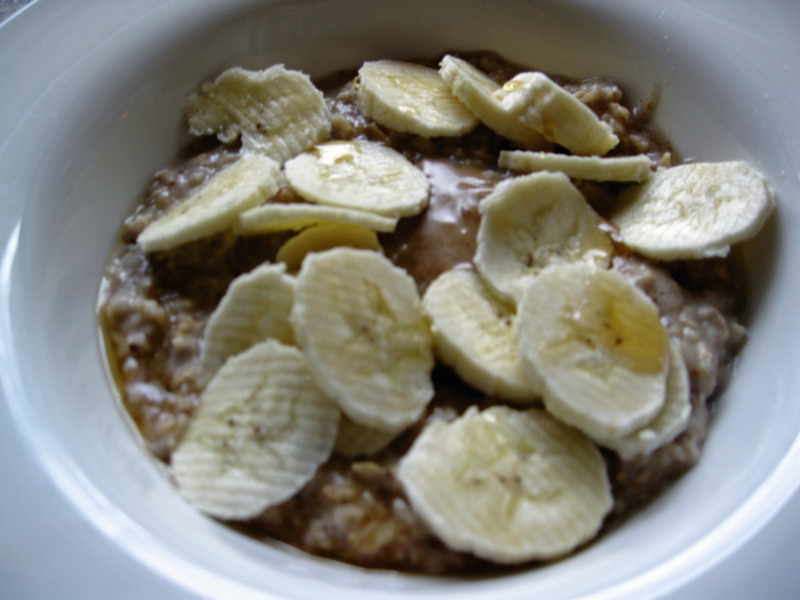 I never used to like oatmeal until I discovered what peanut butter and bananas do to it. 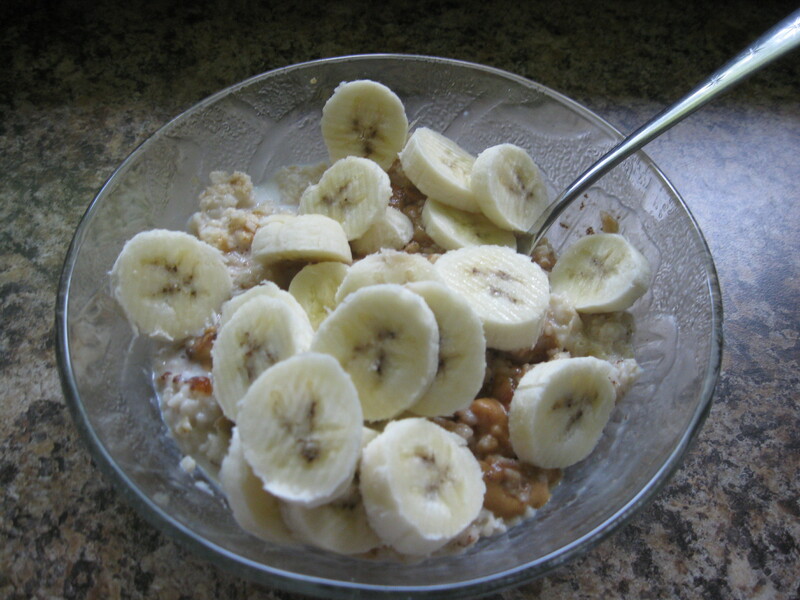 Now I eat it like every day. (P.S. This is an old photo, as my camera was not working this morning). And for lunch, no camera. It was a low sodium ham sandwich on a bagel thin with low-fat swiss cheese, Smart Balance mayo, mustard and pickles with a side of carrots and hummus. 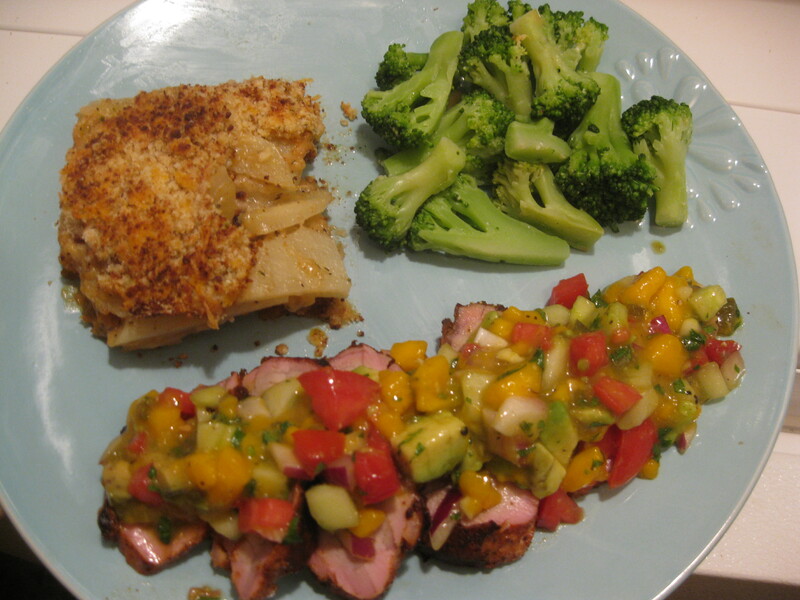 For dinner, I grilled up a cajun seasoned pork loin and served it with mango salsa and leftover cheesy taters, and a little broccoli. For the mango salsa, I chopped a mango, tomato,avocado, half a cucumber (no seeds), quarter of a red onion, 2 T of cilantro, and mixed it up with salt, pepper, the juice of a lime, and some diced jalapeno (from a jar cuz that’s what I had). Worked from 9:30-3:00. Went to the gym and logged 3 miles on the treadmill. Not the most eventful day I guess, but it was a good one. 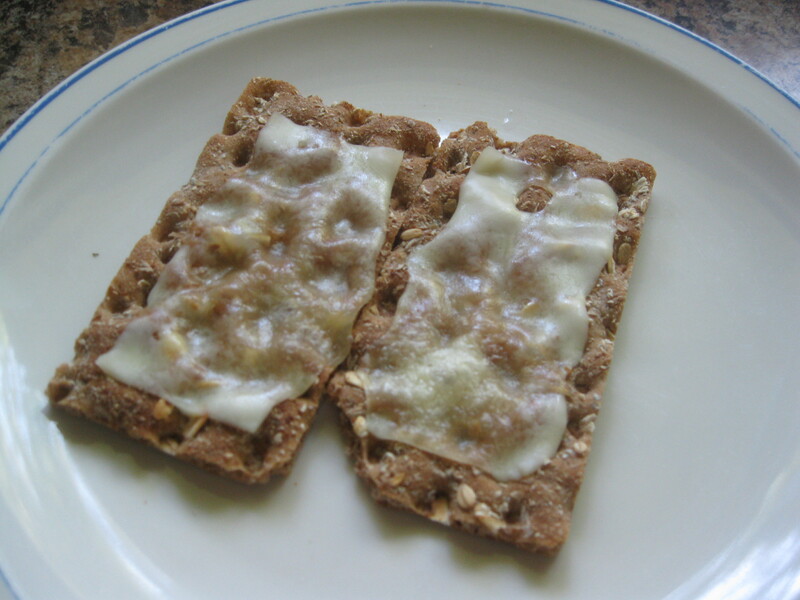 After the gym, I snacked on 2 Wasa crackers with melted reduced fat swiss cheese. My mom, my job, my family, my friends, feeling great, the ability to see possibilities. What are you grateful for today????? ?